Slavia Village at St. Luke’s Lutheran School in Oviedo, FL is a space created to allow children to freely explore in a natural environment. The outdoor space models the indoor classroom in names for many interest areas, which gives the children a sense of familiarity. Much thought and time was spent on using a variety of natural materials in the classroom that include many textures as well as adding touches of color around the space. Shrubs, trees and plants of various colors have been placed throughout Slavia Village to create a natural and positive aesthetic feel. A prayer garden was incorporated into the Nature Explore Classroom to reflect their Christian relationship. When designing Slavia Village, a landscape architect and a local landscape business owner, both of which are parents of children who attend the school, were consulted. With the help of these two professionals, a water irrigation system was installed to make sure all shrubs, bushes and plants would have proper watering throughout the day. A staff member also regularly waters plants and shrubs and does upkeep on the grounds. An artist/staff member painted perimeter walls and doors with nature themes, adding beautiful splashes of color. Care was taken to balance man-made objects with natural objects. All wood pieces have been sealed to protect them from the elements of the hot Florida climate. A recycling area was added to one end of the outdoor classroom which is a great tool for teaching children and also great for the environment. To ensure a safe environment, St. Luke’s used the following resources to make sure all regulations were met within their classroom: local landscape architects, the Director of Facilities and Maintenance at the school and the websites of The National Center on Accessibility and the U.S. Consumer Product Safety Commission. Including parents and staff was a very important part in the creation, design and implementation of the outdoor classroom. Staff training taught excellent ways in how to use and create interest in the multiple areas in the outdoor classroom. 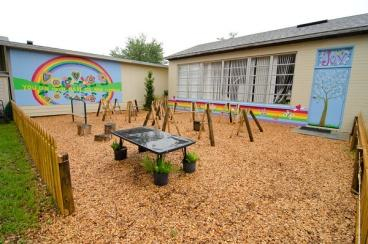 Parents helped in creating the outdoor classroom space as well. 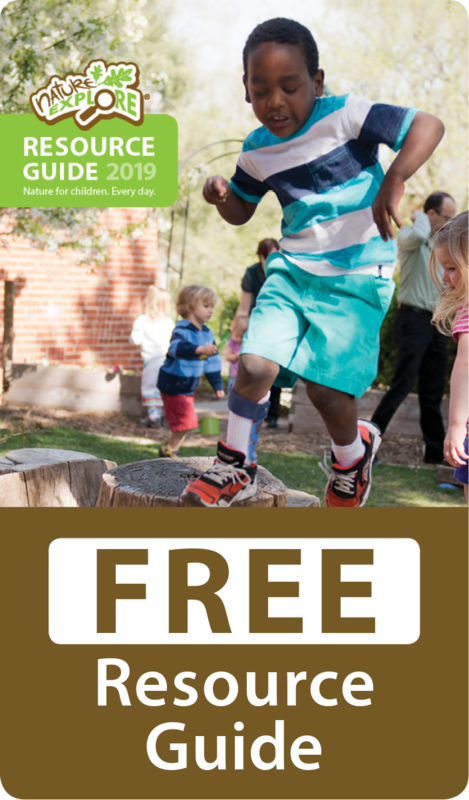 Staff, children and parent volunteers utilize the outdoor classroom every Tuesday, Wednesday and Thursday following a curriculum designed for outdoor instruction. St. Luke’s Lutheran School believes in the opportunity for every child to learn, grow and succeed. The Nature Explore Classroom, Slavia Village, allows children to explore, imagine, and flourish in many additional and wonderful ways.